The reading for March 2016 is an essay by Bruno Latour titled On Actor Network Theory (1990). This session will be chaired by Johanna Kwiat. DOWNLOAD: Latour, Bruno (1996/1990). On Actor Network Theory: A few clarifications plus more than a few complications. Finn Olsen, Philosophia, Vol. 25, No. 3-4 (1996), pp. 47-64. Lloyd, John Uri & Curtis Gates Lloyd  Plate XXIII. 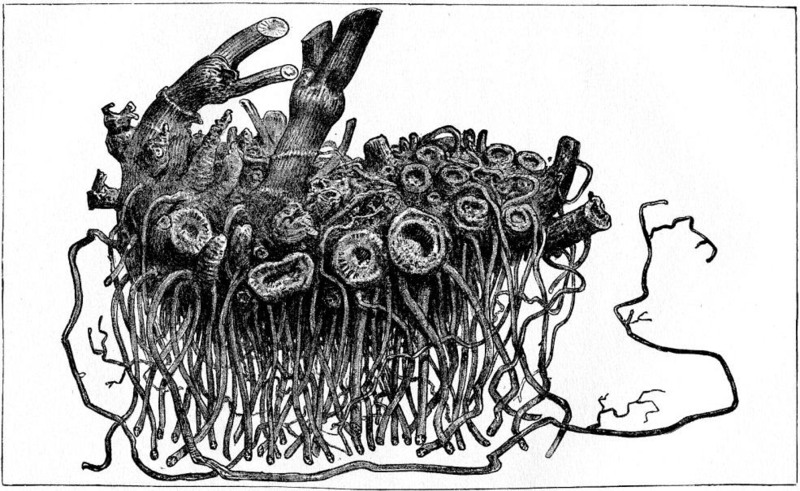 A fresh rhizome of Cimicifuga racemosa. In Drugs and Medicines of North America. Cincinnati: Lloyd & Lloyd. On Actor Network Theory is a spirited response to critics of Actor-Network Theory (ANT). Latour dispels misunderstandings about ANT, summarises its main premises and traces the consequences and stakes of this theory for our understanding of networks and semiotics. For Latour there is a radical incommensurability between the approach of ANT and the social sciences to the study of social systems. Sociology acknowledges the natural, social and semiotic character of human interaction but addresses these as separate categories. ANT proposes a methodology whereby investigators can unify these three categories by treating individual agents as natural, social and semiotic simultaneously, while at the same time contextualising them within inclusive networks that trace relationships between humans, animals, objects and signs. ANT originates in the work of Michel Callon, Bruno Latour and John Law in the field of science and technology studies (STS), which explores the impact of society, politics and culture on scientific and technological development and vice versa. The first thing that the proponents of ANT like to point out is that it is not a theory, because it is descriptive rather than explicatory. Latour and Law describe it as a set of tools and methods used to describe the relationships between heterogeneous actors: humans, animals, objects and signs that generate networks of relationships. The second thing that supporters of ANT like to point out is that it does not involve actors – because this implies human actors. They prefer to use the word actants. In fact, Latour says that “actant-rhyzome ontology” would be a more appropriate term (Latour, Bruno (2005). Reassembling the Social: An Introduction to Actor-Network-Theory. Oxford: Oxford University Press, p. 9). Latour, Bruno (2005). From Realpolitik to Dingpolitik or How to Make Things Public. In Making Things Public: Atmospheres of Democracy, Bruno Latour and Peter Weibel eds. Cambridge: MIT Press/ZKM Karlsruhe. Latour, Bruno (1993). We Have Never Been Modern, trans. Catherine Porter. Cambridge, MA: Harvard University Press. Law, John (2008). Actor-network theory and material semiotics. In The New Blackwell Companion to Social Theory 3rd ed., Bryan S. Turner ed. Oxford: Blackwell, pp. 141–158. Deleuze, Gilles and Félix Guattari (2004/1980). 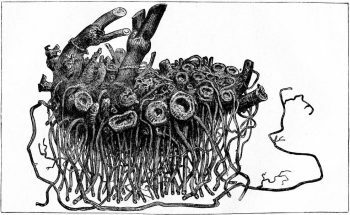 Introduction: Rhizome. In A Thousand Plateaus: Capitalism and Schizophrenia, trans. Brian Massumi. New York: Continuum, pp. 3-28. DeLanda, Manuel (1992). Nonorganic Life. In Incorporations, Jonathan Crary & Sanford Kwinter ed. New York: Zone Books, pp. 128-167. Serres, Michel (1982). Hermes: Literature, Science, Philosophy. Baltimore: Johns Hopkins University Press. Kuhn, Thomas (1970/1962). The Structure of Scientific Revolutions. University of Chicago Press. Eco, Umberto (1984). The Encyclopedia as Labyrinth. In Semiotics and the Philosophy of Language. London: Macmillan, pp. 80-83.